THE HAGUE, Netherlands — By reducing historic mausoleums in Timbuktu to dusty piles of rubble, Islamic extremists desecrated holy sites, leaving residents ashamed and impoverished, a lawyer said Wednesday at the trial of the man accused of leading the destruction. Mayombo Kassongo, who represented victims at the trial of Muslim radical Ahmad Al Faqi Al Mahdi, said locals expressed "shame at seeing their saints stripped naked." Al Mahdi led pickax-wielding rebels who wrecked the simple mud-brick mausoleums covering the saints' tombs in June and July 2012 in the famed city in the Saharan nation of Mali. Kassongo said the destruction of the World Heritage-listed sites was also a financial blow to residents, crippling tourism in the remote African city. Al Mahdi pleaded guilty and expressed remorse Monday for his role in leading the destruction of nine mausoleums and a mosque door in Timbuktu and urged Muslims around the world not to commit similar acts. "They are not going to lead to any good for humanity," he said. 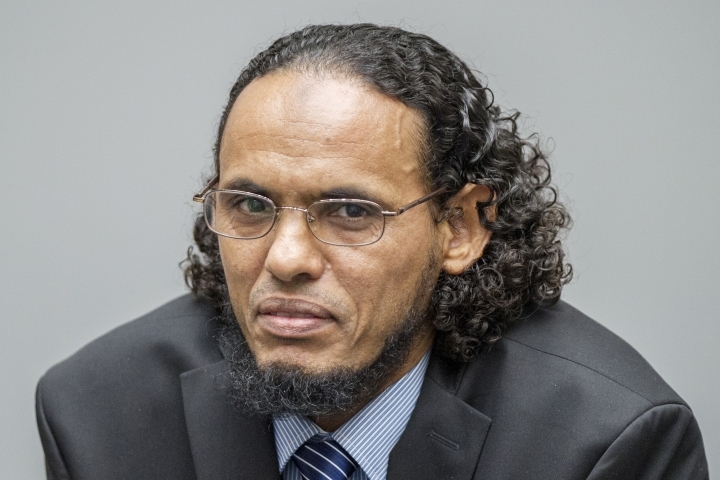 The trial is continuing despite Al Mahdi's guilty plea to give Timbuktu residents a chance to speak about the impact of the destruction and to allow prosecutors and his defense lawyer to discuss a possible sentence. 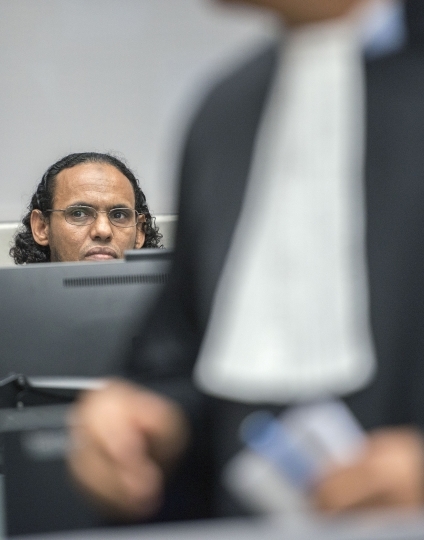 Prosecution lawyer Gilles Dutertre said Al Mahdi played "a key role" in the 2012 destruction and urged judges to sentence him to between nine and 11 years in prison. The court later announced the judgment and sentence — if judges accept Al Mahdi's guilty plea —- will be delivered Sept. 27. 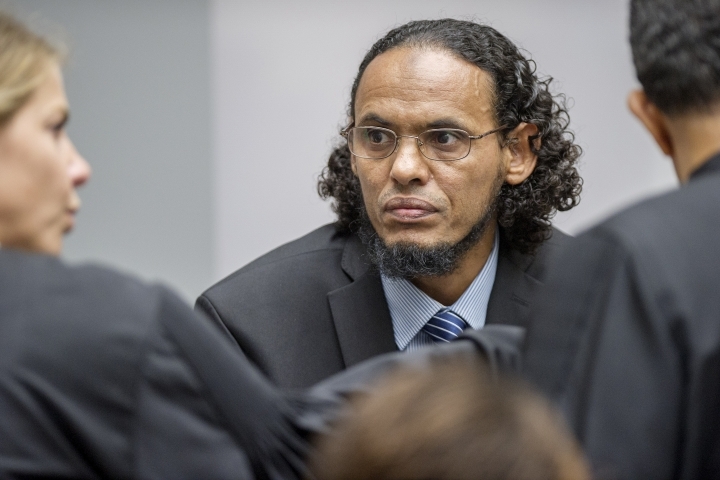 Al Mahdi's defense team has urged the judges to show leniency, casting him as a volunteer teacher and expert on Islam who believed the destruction was justified on religious grounds, but had argued against it, saying it would spark protests in Timbuktu. Now, his lawyer Jean-Louis Gilissen said, "He is prepared to look at himself in the mirror and ... he doesn't like what he sees." Al Mahdi's confession was a sharp about-face from his role as leader of a "morality brigade" set up by al Qaida-linked rebels who occupied the city in 2012 and enforced a strict interpretation of Islamic law that included destruction of the mausoleums they considered idolatrous. Kassongo, who visited Timbuktu to speak to residents affected by the attack, called Al Mahdi's remorse into question as he urged the three-judge panel to deliver a stiff sentence. "Is this guilty plea sincere?" he asked. "Does it flow from a genuine desire to repair the prejudice arising from the crimes? Let us not be deceived." Dutertre said the punishment must send "a clear message" condemning such acts, but he also told judges they should take into account the former teacher's admission of guilt, remorse and cooperation with prosecutors when passing sentence.